TellyBetting: Crystal Palace to Stay Up – Yay or Nay? 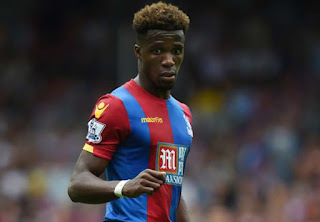 Wilfried Zaha played a crucial role in rescuing a point for Crystal Palace this weekend in their premier league match up against West Ham. At half time Roy Hodgson's side were 2-0 down in what was fast looking to be yet another disappointment for the beleaguered London side. An impressive second half comeback saw Milivojevic score 50 minutes in though and Zaha clinched the draw with a last gasp 96th minute effort. In what could be seen as a touch of good fortune during a dire start to the season, it's surely left many punters seeing Palace's chances of staying up this year as something that's still very much in the balance. Current odds with most major bookmakers have Crystal Palace at around even money to be relegated and so this pretty much confirms that their chances of staying up are something of a coin toss. The West Ham comeback coupled with their surprise win at Chelsea has created an air of optimism in some quarters. It's in stark contrast to their shockingly bad, 'record breaking' (in a bad way – 731 minutes without scoring!) performance of early season, and may signal better things for the under siege team. In the bigger picture, it's still early days and with several teams struggling to truly get into gear (Bournemouth, Everton, Swansea, Westham Leicester... the list goes on) a couple more wins in their upcoming fixtures would likely see their relegation odds shorten considerably. Personally, if you're in the 'staying up' camp I would hold off placing a bet until after the Tottenham game as Palace are really up aganst it there. Their next fixtures are Everton, Stoke, Brighton, West Brom and Bournemouth , none of whom are flourishing so far this season, and all of whom are beatable. It's a period that signals a real opportunity for Palace to show the best of what they're capable of rather than the worst.